Health and Safety training was provided to construction workers to safeguard against accidents. 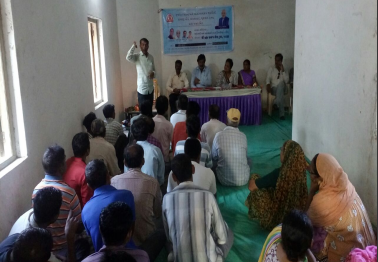 Gujarat Makan and Bandhkam Shramyogi Kalyan Board (Gujarat Housing and Construction Labourer Welfare Board) had prepared modules regarding Measures of Safety. Construction Workers are trained from prepared modules and workers are empanelled with related content so that work becomes accurate and completed without any health hazards. The training sessions were conducted in month of August 2017. 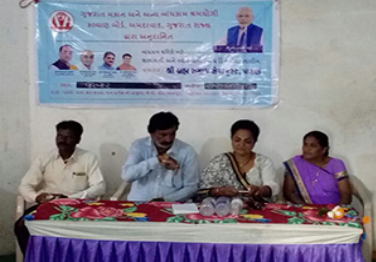 Areas covered were Panchmahal, Mahisagar, Jamnagar, Junagadh, Morbi, Patan, Porbandar, Banaskatha, Kheda and Dahod. The District Project Manager and State Project Officer of each location were notified about the same before conducting training. The training included 3 hours of theory and 2 hours of practical. 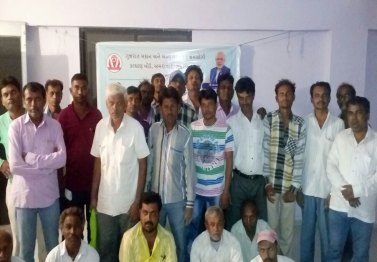 Total 50 labourers participated in this training session which was scheduled for a period of 5 days.